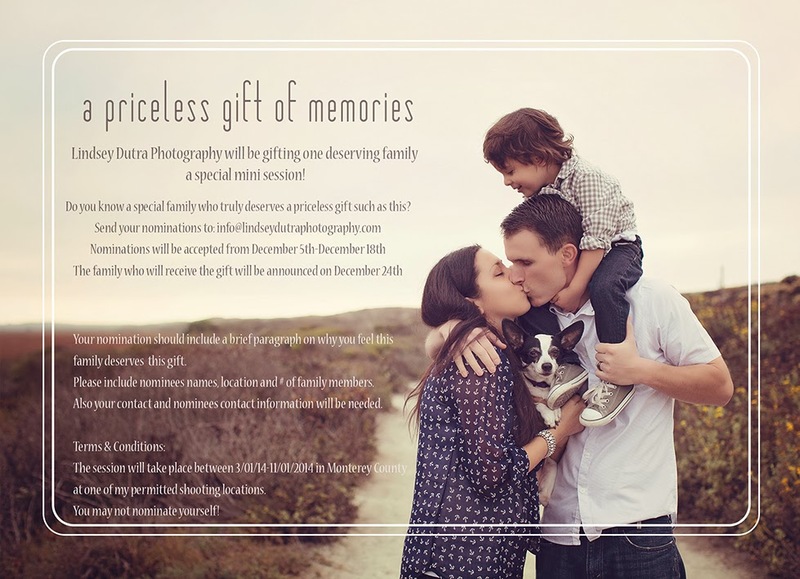 Lindsey Dutra Photography: Tis the season for giving! 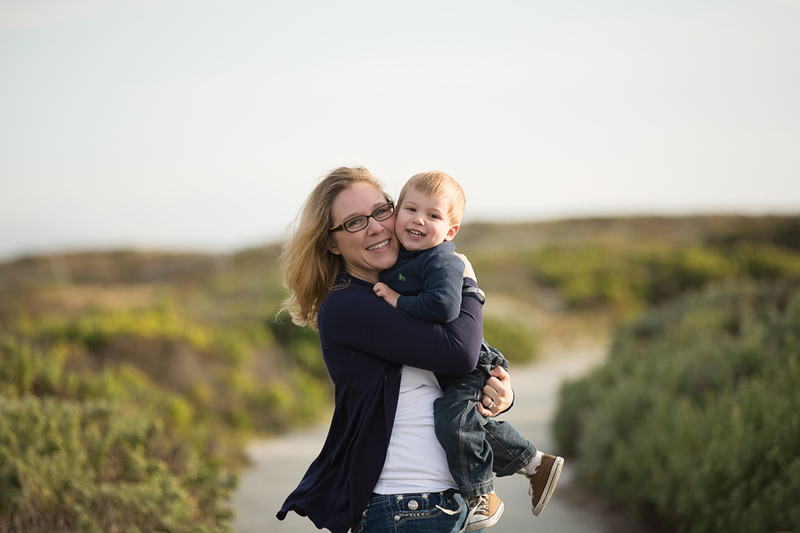 Durning this wonderful season of giving, the Lord has put it on my heart to gift one very special family a mini session! If you know a special family who truly deserves a priceless gift like this keep reading! Email your nomination to: info@lindseydutraphotography.com include Nomination in the subject line. Your nomination should include a brief paragraph of why you feel this family deserves this gift. Please include nominees names, location and # of family members. Also include yours and the nominees contact information. Nominations will be accepted from December 5th-December 18th. The deserving family will be announced on December 24th. Looking forward to reading all your emails! God Bless you all! Terms & Conditions: The session will take place between 3/01/14-11/01/2014 in Monterey County at one of my permitted shooting locations. You may not nominate yourself!